What is "Impaired To The Slightest Degree?" When most of us think about DUI, we think about being over the legal limit of a .08% BAC. 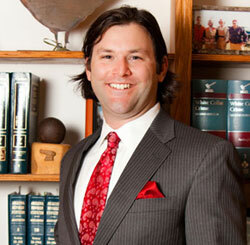 What few people know is that when you are arrested for DUI in Phoenix, Arizona, you are always charged twice. The other charge falls under Arizona Revised Statute 28-1381(a)(1) which says if a person is in actual physical control of a vehicle while under the influence of n intoxicating substance and is "impaired to the slightest degree" than you are guilty of DUI. There are two DUI charges so the prosecutor can have two chances of convicting you; they can get you for being over the .08 and for being "impaired to the slightest degree." The punishment is the same. What this basically means is the prosecution does not need your blood or breath results in order to bring DUI charges against you. All they need is evidence you were "impaired o the slightest degree." This is why you NEVER agree to perform field sobriety tests for the police officer. This is why you ALWAYS refuse the tests and you ALWAYS ask for a lawyer. Read my blog post What To Do If I Get Pulled Over For DUI to learn more about what to do when stopped. If you have been arrested and charged with DUI contact Phoenix DUI Lawyer Aaron Black for experienced and aggressive representation 480-729-1683.